In the previous four papers in this series, individual versus structural or contextual factors have informed various understandings of moral distress. In this final paper, we summarize some of the key tensions raised in previous papers and use these tensions as springboards to identify directions for action among practitioners, educators, researchers, policymakers and others. In particular, we recognize the need to more explicitly politicize the concept of moral distress in order to understand how such distress arises from competing values within power dynamics across multiple interrelated contexts from interpersonal to international. 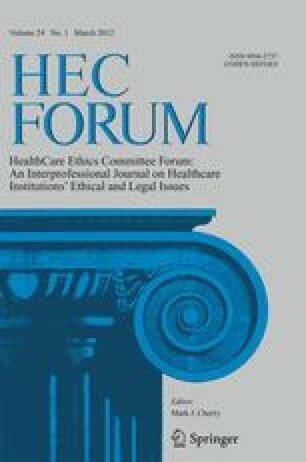 We propose that the same socio-political values that tend to individualize and blame people for poor health without regard for social conditions in which health inequities proliferate, hold responsible, individualize and even blame health care providers for the problem of moral distress. Grounded in a critical theoretical perspective of context, definitions of moral distress are re-examined and refined. Finally, recommendations for action that emerge from a re-conceptualized understanding of moral distress are provided. Smye, V. L., Browne, A. J., Varcoe, C., & Josewski, V. (2011). Harm reduction, methadone maintenance treatment and the root causes of health and social inequities: An intersectional lens in the Canadian context. Harm Reduction Journal, 8–17. doi: 10.1186/1477-7517-8-17.